South Africa is once again hit by a wave of ambitious, energetic rap artists from Cape Town. Mixing isiXhosa with English and Cape Flats slang they represent a generation of HipHop who addresses issues beyond the stereotype of floozies and gangsterism but never forgets its roots in some of South Africa’s most notorious Townships. El Nino, Ma B, Redondo, Dla were all born, raised in still live in Gugulethu, a township in the suburbs just outside Cape Town. 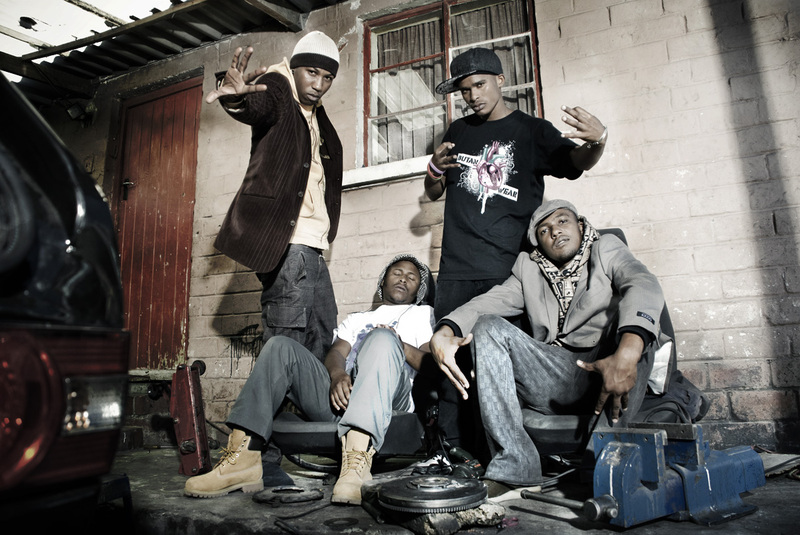 In 2001 the four founded the rap combo Driemanskap, which soon received recognition throughout South Africa, ranked first place in Hype Magazine’s Unsigned Hype charts before their first official release at Pioneer Unit in 2003. 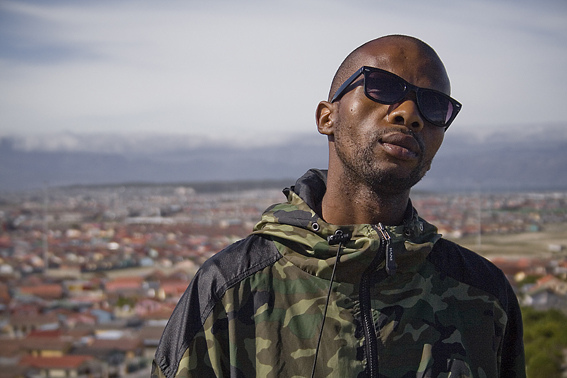 S’phum’eGugs – DRIEMANSKAP Ft. Macho & Kanyi from Pioneer Unit on Vimeo. Celebrated for their enormous stage presence, the crew performed all over the country. The four take their bassy sound straight to the audience, playing at park jams and street bashes. By now, Driemanskap are big players in their home country’s rap scene which gave them opportunities for occasional gigs abroad like Baobab Festival in Sweden. The label Pioneer Unit is South Africa’s Rap smithy and brings together some of the cape’s most promising talents. One of them is Rattex whose debut solo album Bread and Butter was a real zinger. His artist name is derived from a common brand of rat poison and is supposed to illustrate his sometimes sneaky styles. Now Rattex is back with his latest masterpiece Streets, Raps & Us, which takes you to the rough streets of his home area, Khayelitsha. Listen to all tracks from Rattex’ new album on the artist’s page.